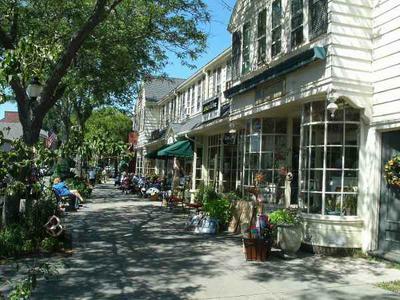 Question: Which Cape Cod town is best for shopping? Like a boardwalk full of shops or a center full of shops? Dee's Reply: Hi Linda - When you're in the mood to shop 'til you drop, there are two places on Cape Cod that you won't want to miss: Commercial Street in Provincetown and Mashpee Commons in Mashpee. Commercial Street is lined with all sorts of interesting shops, boutiques, souvenir stores, and galleries. No matter what you're looking for - clothing, toys, home décor, pet items, antiques, hand-crafted jewelry, artisans' works, Cape-themed gifts for family and friends - if you can imagine it, you'll find it on Commecial Street. It's easy to spend a whole day wandering along Commercial street, poking into every interesting storefront you see. When your feet begin to ache from all that walking, you'll find lots of places along the main drag and on the harborfront to relax and have a bite to eat. After you're refreshed and rested, you can get back at it again! 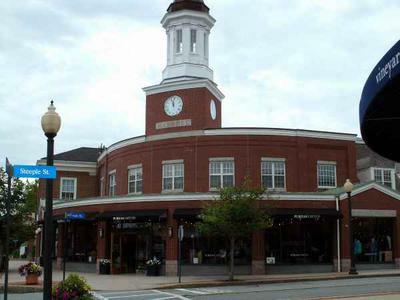 Mashpee Commons bills itself as "Cape Cod's Premier Shopping, Dining & Entertainment Destination". There's a whole lotta truth in that advertising. I know a group of ladies from western Massachusetts who come to the Cape twice a year, just to spend the day shopping at Mashpee Commons. They get on the road around dawn, drive 2+ hours to Mashpee, then shop shop shop until their credit cards beg for mercy. 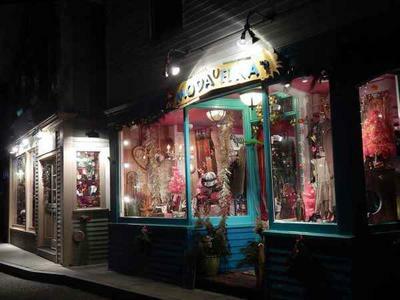 Provincetown and Mashpee Commons are "power-shopping" hot spots, for sure! But that doesn't mean they're the only place on Cape Cod where you can pick up a treasure trove of personal and gift items. The main streets of Falmouth, Hyannis, Chatham, and Orleans, are a fun place to shop, do some sightseeing, and grab a bite to eat, too. And if you do a bit of exploring, you'll discover truly wonderful specialty shops, galleries, and boutiques in every town. 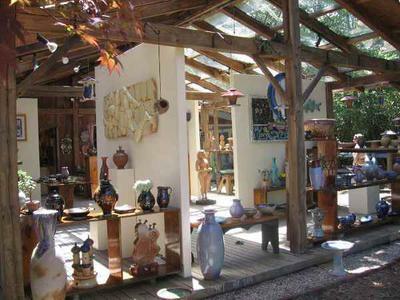 As you drive around the Cape, take time to stop into little country stores, glass-blowers' and potters' studios, jewelry boutiques, and any other local shop that catches your eye. You'll be blown away by the creative talents of Cape Codders!